Click the Windows Start button or enter the Cortana Search bar. Type \\terminus.sheridanc.on.ca\MI-B414-E1 to setup the Lexmark black and white printer. where ******** is your CAD Lab login name. 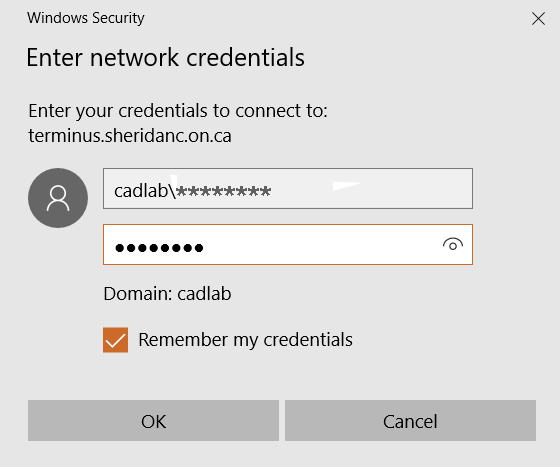 for Password, enter your CAD lab password. Check the “Remember my Credentials” box. The “Windows Printer Installation” window will pop up and connect to the printer. 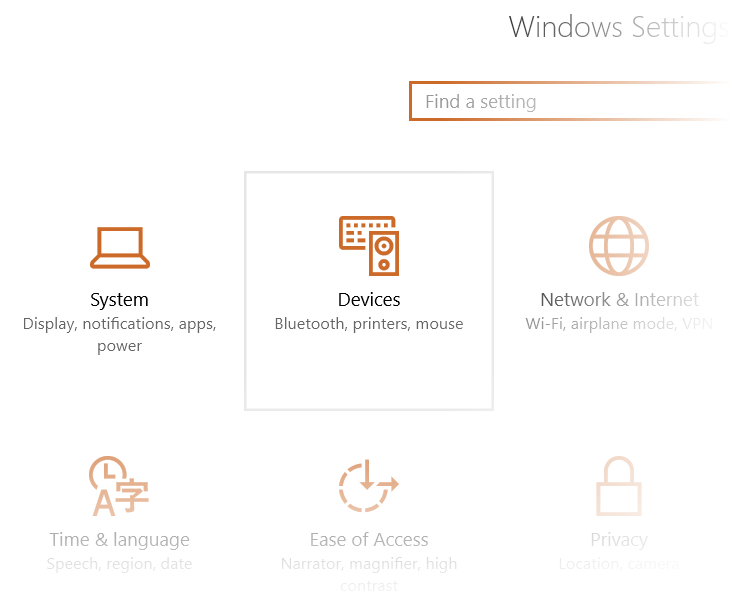 Once you have connected to the first printer, connect the remaining printers/plotters by going into the Settings Menu > Devices. Click “Add a Printer or Scanner”. 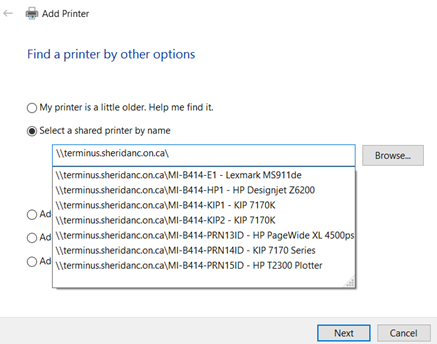 Click Select a shared printer by name. Once the printer/plotter is connected, click Next and then click Finish. * The CAD Lab Printers ONLY support Letter (8-1/2" x 11") and Tabloid (11" x 17") paper. All other print jobs WILL BE DELETED! **NOTE: Do not set the Large Format Plotters as your default printers !